Wow wow wow - actually way beyond wow!!! I loved seeing the blocks, your fabric Choice is wonderful. Seeing now the quilting is just stunning, such a great work! Thanks for all the pictures you shared with us. Beautiful Kathy... love star quilts...lol....so how many photos.....are we in a challenge...lol....?? Wow... this is gorgeous and really brings the quilt top alive. 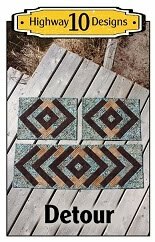 I love the border treatment with a mix or swirls and pebbles. You did an amazing job on this one! Fab quilting Kathy! Spot on for this quilt. Remember if you can't see it from a running horse it's not there! Great quilting Kathy. I love the way you have done the border, I would have thought it would have been too dense, but clearly I'm wrong in my thinking!! It really frames the quilt beautifully. Stunning results! You made wonderful choices! Beautiful quilting Kathy. Your customers will all be wanting their quilts to be quilted like this now! 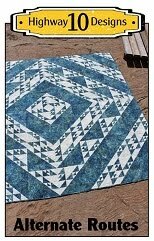 Quilting pebbles makes me crazy; I don't think doing it on a longarm would be any better than doing it on my treadles, either. Your quilt is wonderful; your quilting is stunning. Absolutely delightful! Kathy: This Grandma's Stars quilt is absolutely beautiful! Wow! 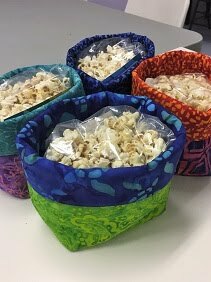 What a great idea to do hexagonal star quilting. And pebbling -- wow! How did you mark this quilt for quilting? Oh, looks like I am commenting right after another Lorna! I will have to visit her too! Just beautiful. Stunningly beautiful. The design just pops and the quilting is amazing. Great finish, Kathy! Hope you don't mind if I share it with a link back on my facebook page at http://facebook.com/sewfreshquilts. This is beautiful. 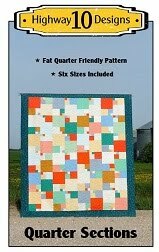 I love these blocks, and your quilting sets them off so perfectly. I especially like the border blocks with the radiating lines. It is so so nice! 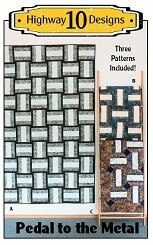 Great quilting designs that work so well with your blocks. beautiful and stunning are just the first words that come to mind ... wonderful job Kathy!! Absolutely Gorgeous Kathy-both the design and the amazing quilting. I love pebbles but boy do they take lots of practice. this is just stunning Kathy! Well done!! Beautiful quilt! Just gorgeous! What an amazing job you did. Gorgeous!! Wow!! Beautiful!! Love it!! Fantabulous!!!! The back is just as stunning as the top!!! That quilting is amazing! The pebbling adds something special, I think. I like how the geometric lines and pebbling in the main part are tied together with the swirls in the border. Love it! 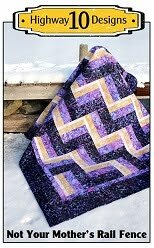 just so gorgeous - the quilt and the quilting - love it! WOW, love your quilting. You did a great job, love the pebbles and the lines really set off the quilt. love the fans? along the edge, how did you do that? I love the star blocks and the added pattern from the quilting. It looks terrific. the border suits it well, especially with the smaller border fabric. I love the back of my quilts quite often too. beautiful! just the right amount of quilting to set off your pretty quilt. those pebbles are tricky, aren't they? What length of stitch do you use when doing that type of detail - do you have a stitch regulator? do you sit or stand when quilting? Pam, yes my long arm is stitch regulated and I like to use 10 stitches per inch. I always stand when I quilt except when I have to rip out stitches, then I sit on a tall stool.